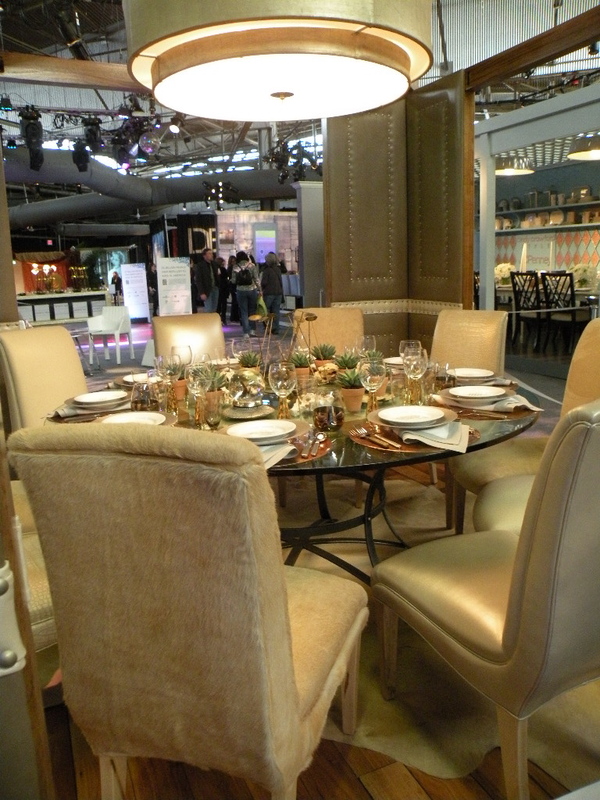 I attended the Architectural Digest Home Design Show last Thursday and spent five glorious hours perusing the stands, exhibits and the always exception Dining By Design event, which was being held concurrently with the AD Show. 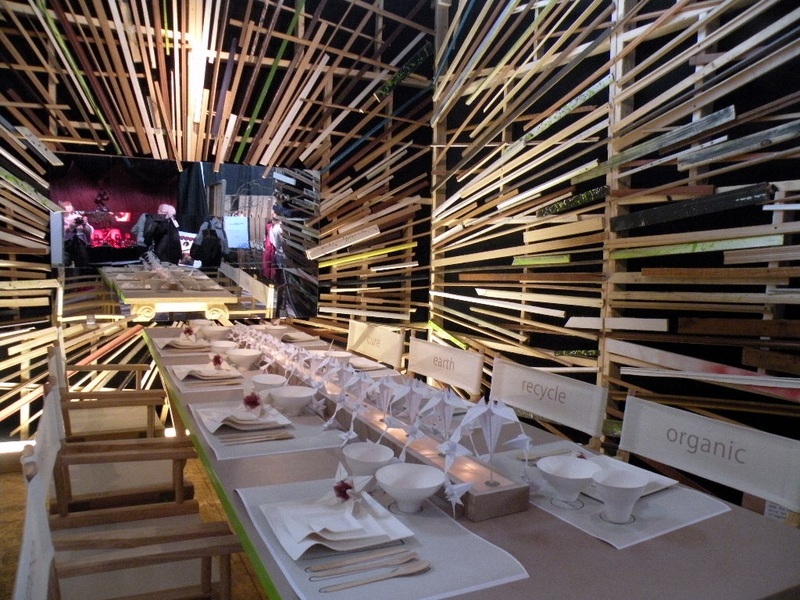 Dining By Design is the signature fundraising event for DIFFA (Design Industries For Fighting Aids), a national event that takes place all over the country. It’s not a touring event, each host city mounts its own show with local designers and a local AIDS care related sponsoring organization. A very dear friend of mine died 20 years ago next month of AIDS before there were many of these types of organizations or the public acceptance of those with HIV/AIDS, so it’s a cause near and dear to my heart. The New York show was amazing, let me just say. My pal Rob came with me and he wasn’t overly excited at the prospect of a bunch of dining table settings, but his mind was certainly changed here! I hope you enjoy my photo tour. I recommend clicking the images for larger, more detailed, views. 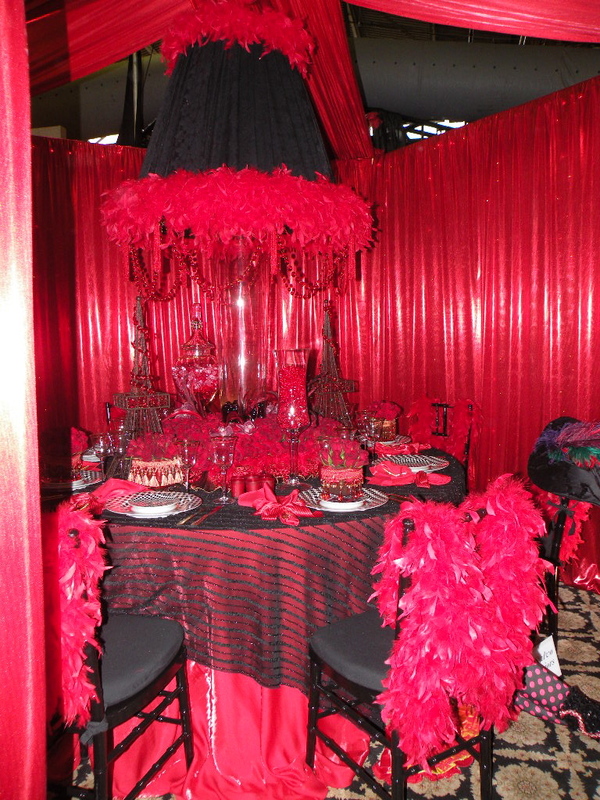 This red table was very hard to photograph – but truly dramatic! The New York Times. Ann Marie Desalvo designs. 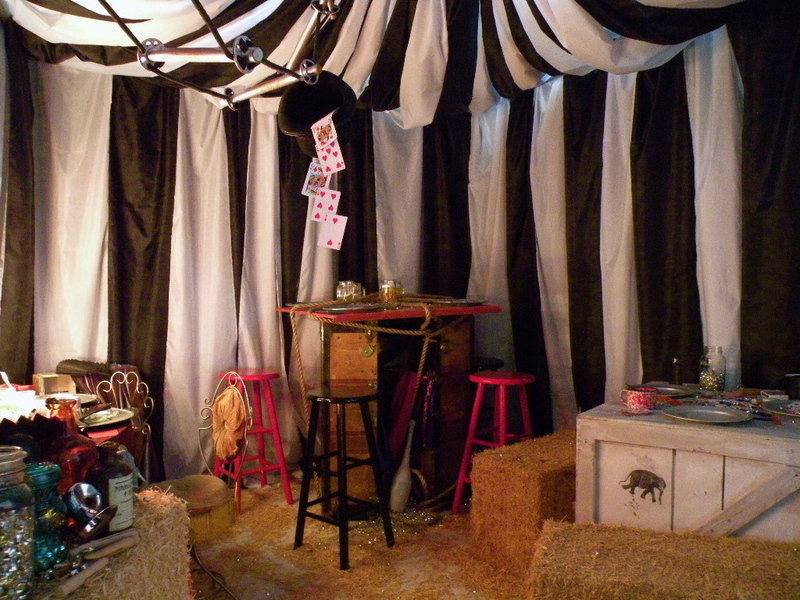 The mix of chairs and upholstered walls were the standouts here. Architectural Digest. Design by Moore & Giles. We thought all the ribbons, including the Blue Ribbon on the table was a cute touch. 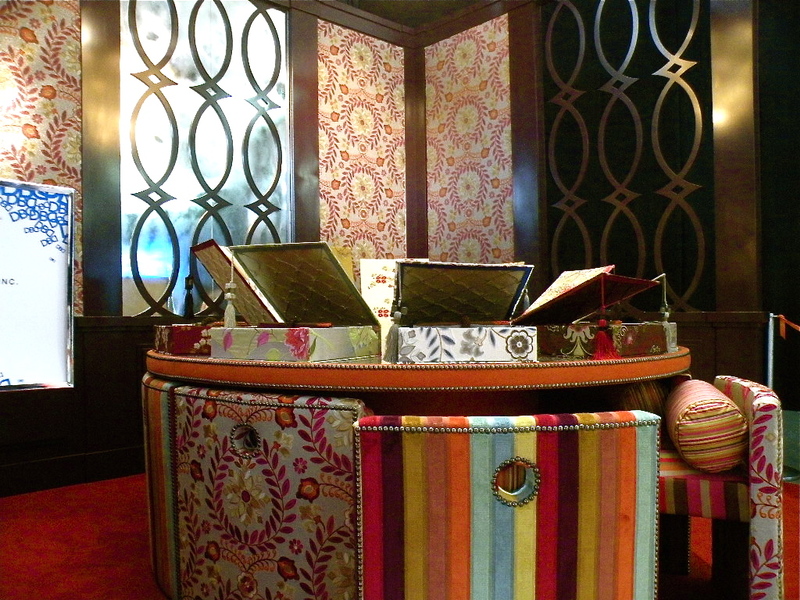 I loved this Kravet space with all the fabrics and colors. 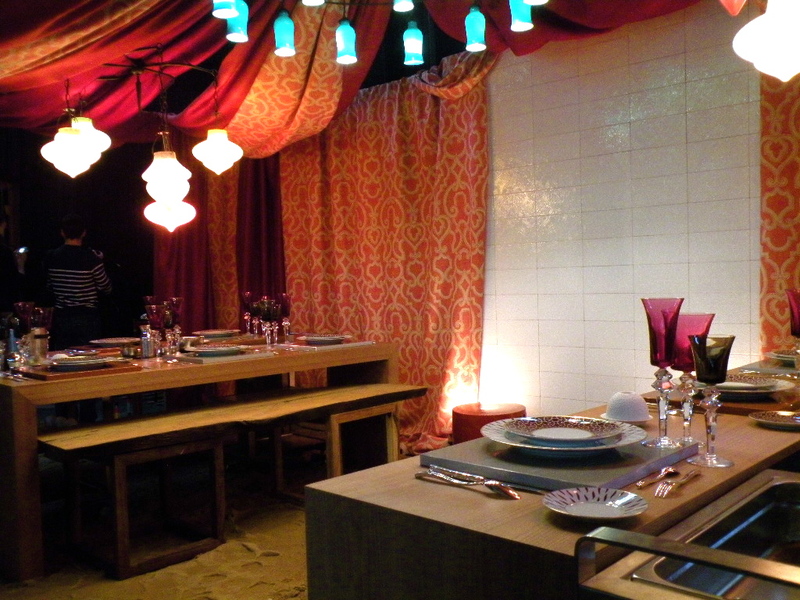 All the chairs could be slid completely under the table. 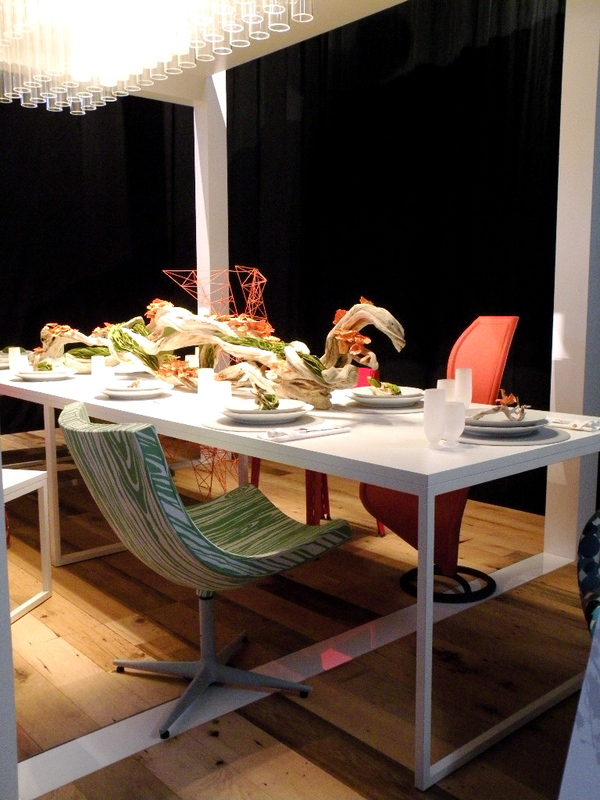 Goil Amornvivat of Top Design Season 1 did this “telephone” table. Cute! Goil sent me this pic – mine was no where near as good! Goil Amornvivat and Thomas Morbitzer for Tug Studios. Photo courtesy of Tug Studios. 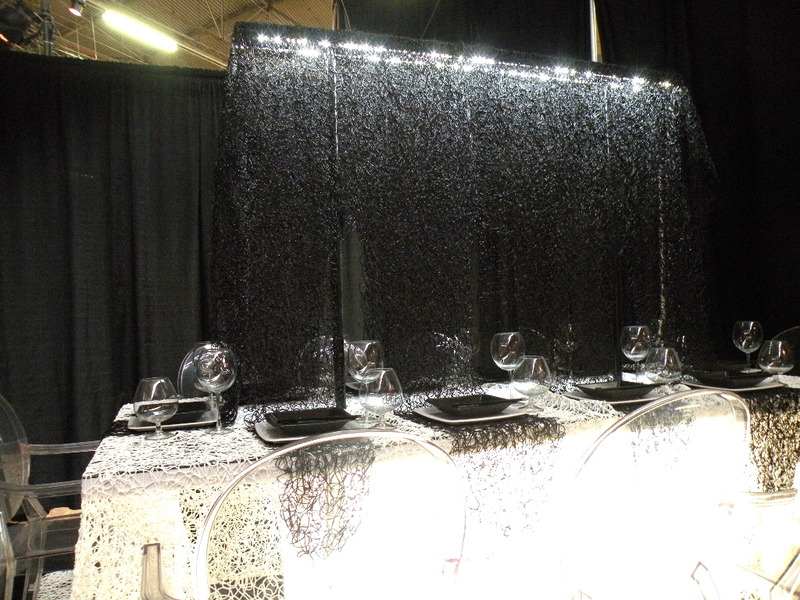 I loved the small crystals hanging amidst the streamers. Some kind of lighted monofiliment mixed in would have been really cool. Eric Warner for Aesthete. Ltd. This Disney table had a lot of cute Disney charachter references, but none managed to show up in the photo. There was a whole section of New York design student tables, which were fabulous and I loved that they were part of the show. 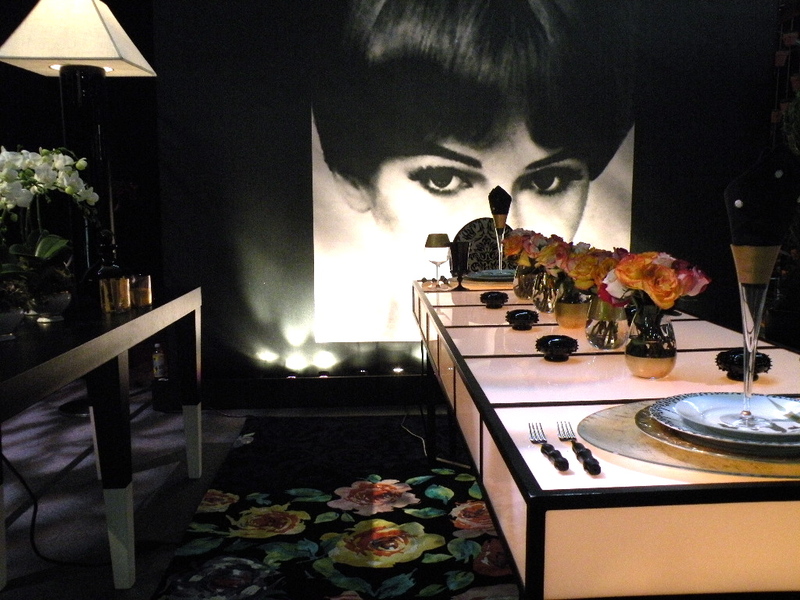 This was one of my favorite tables, for the execution of the wall treatment. The visual detailing was amazing. And here was another amazing wall and ceiling treatment. 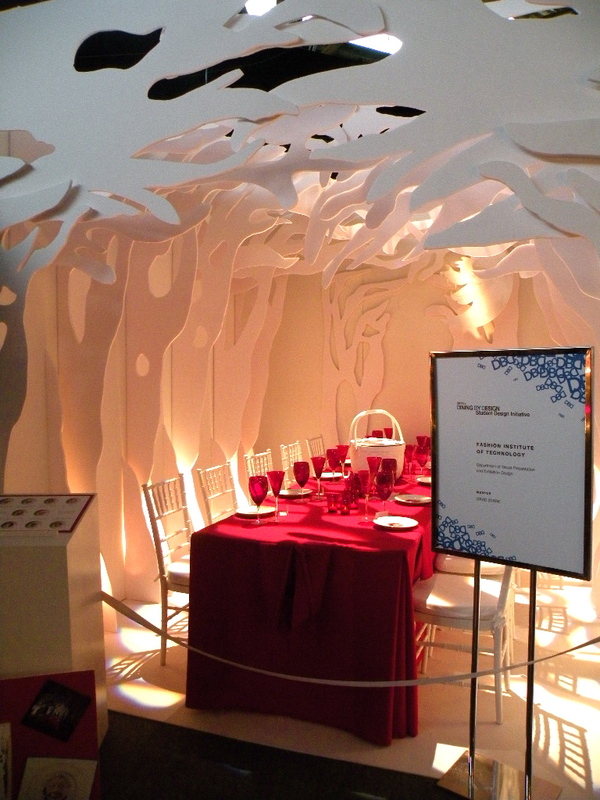 Kind of reminded me of a Robert Sabuda pop-up book. 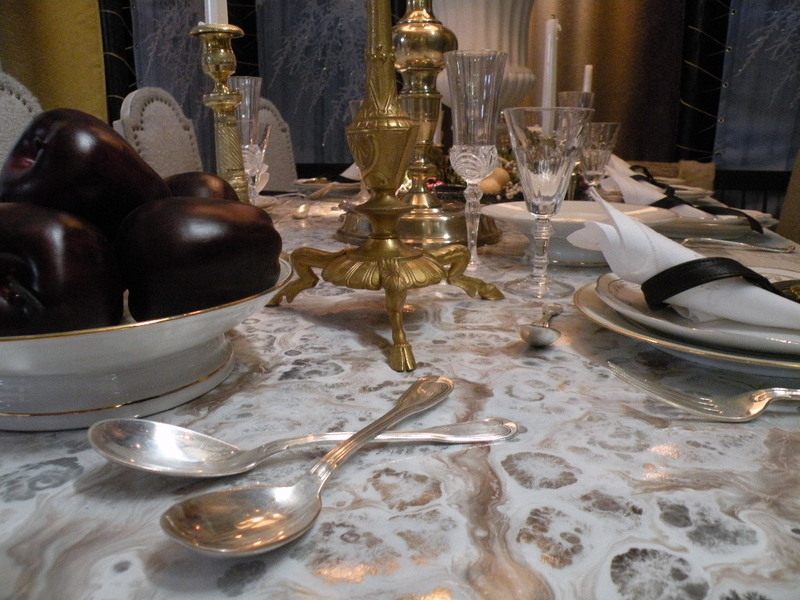 The Poggenpohl table was much more beautiful in person. I loved the table top, but didn’t like that the benches (not shown) said “Artistic Tile” on each one. Seemed a little advertising overkill. I don’t remember taking this photo, but I love it! This design didn’t really read well in person or in the photo. 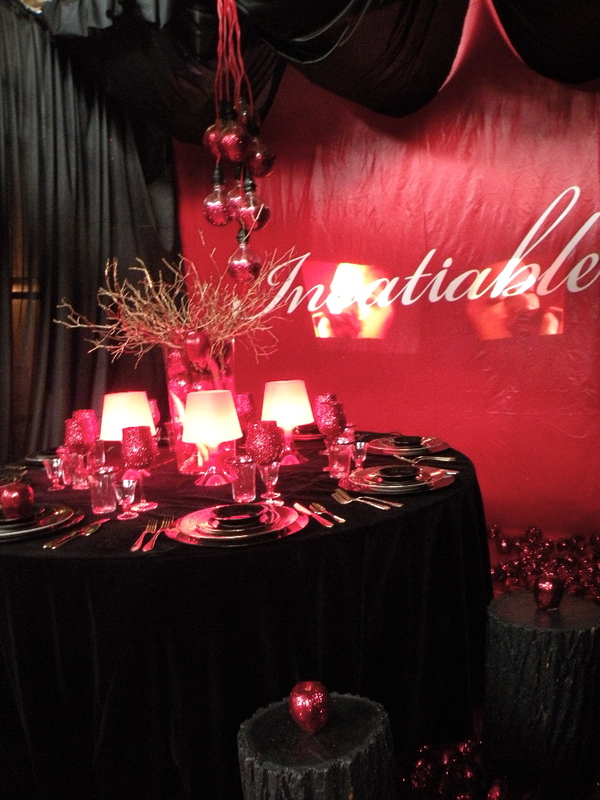 I think the table was too bright for the dimly lit space and the contrast too great. 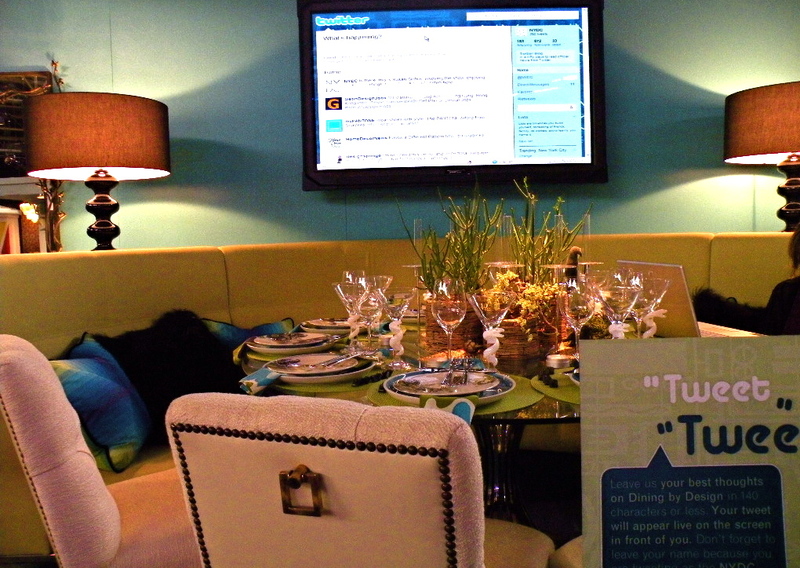 Loved the the New York Design Center had a bloggers table. So much fun and met Laura Newman of the Publicity Wit, who had interviewed me a couple of months ago. This was one of my favorites for it’s fantasy appeal. I also like this techno table by Benjamin Moore. While very commercial, it was still witty and well done. 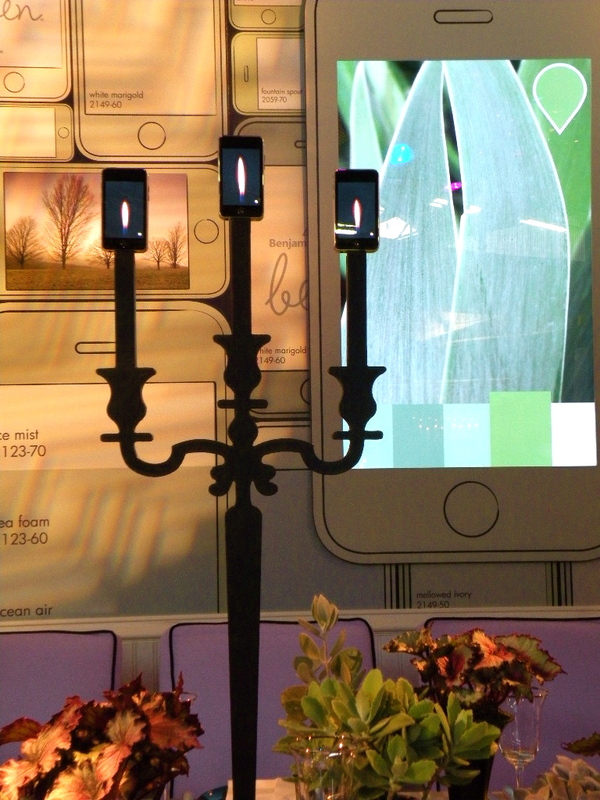 And loved the “iPod” candelabra! All photos by Linda Merrill except where noted. great collection of photos, and you did a bang up job taking notes to share. Very cool. 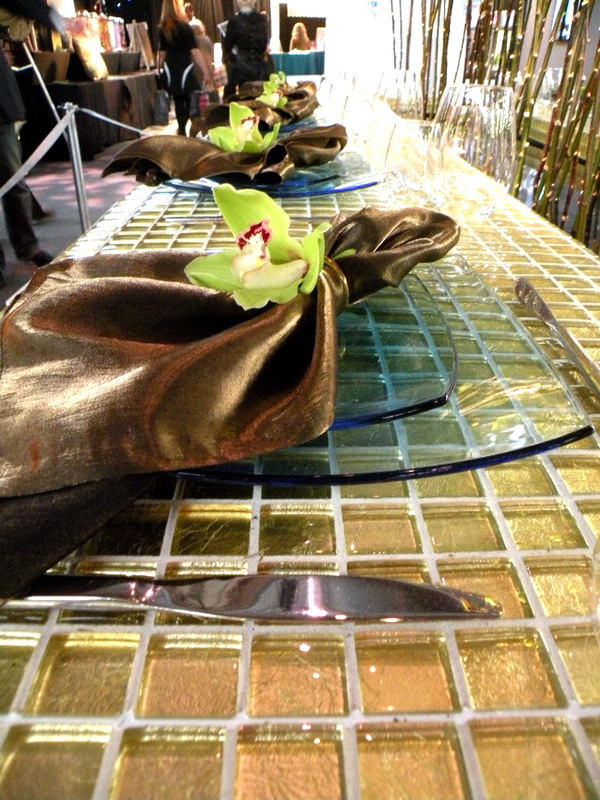 Love the Dining By Design event. It is always such eye candy. I would have love to have met you while in NYC. Hope you had a nice time. I would like your thoughts.! I would so love to go to this some day. It never seems like I've got these kind of events on my calendar in time to plan it. Also wish I could come to your social media seminars. Know they are going to be fabulous. Hope you are having a great week. Linda, thanks so much for sharing! I always love this show and its perfect that it shows in tandem with the AD show. Have a gorgeous week! 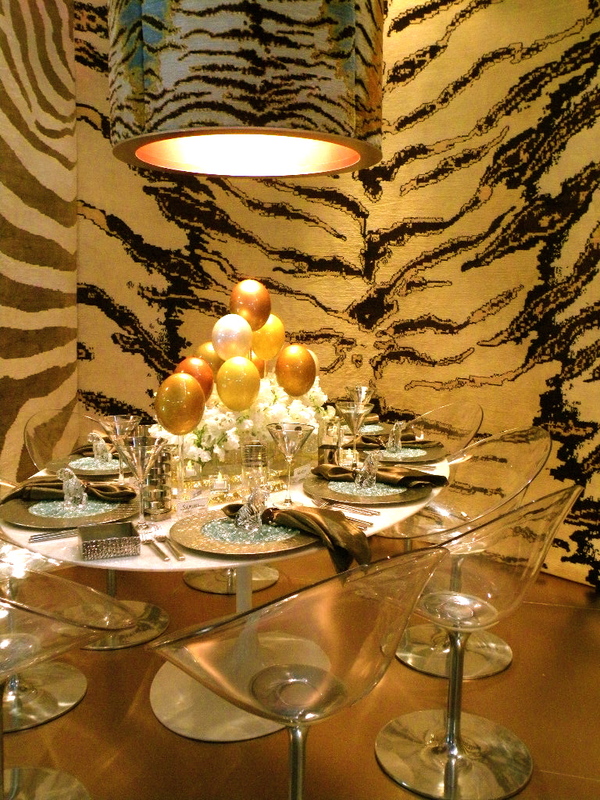 Linda, wonderful, I am so excited to attend the DIFFA event in Kansas City, where we have some big names in design involved. Take a look at the invitation on my site. 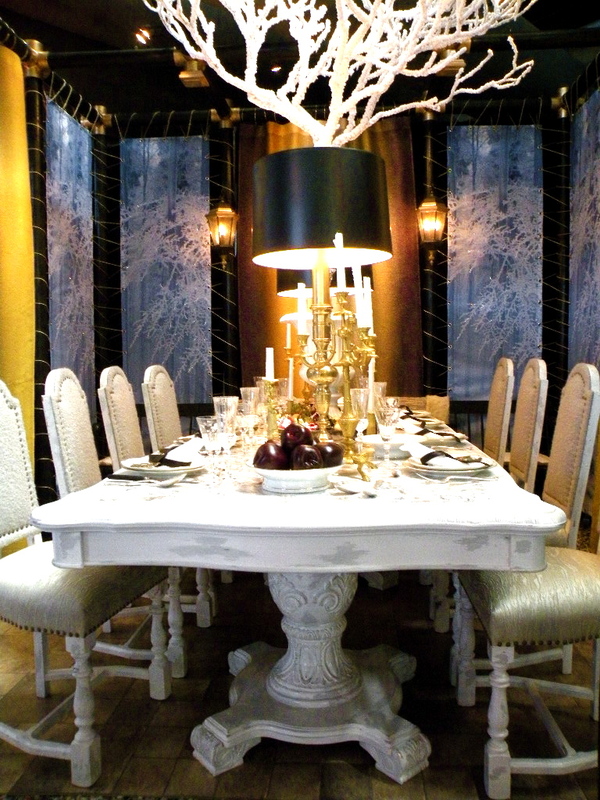 These are all fantastic, I love the picture on the wall in the Marc Blackwell design! 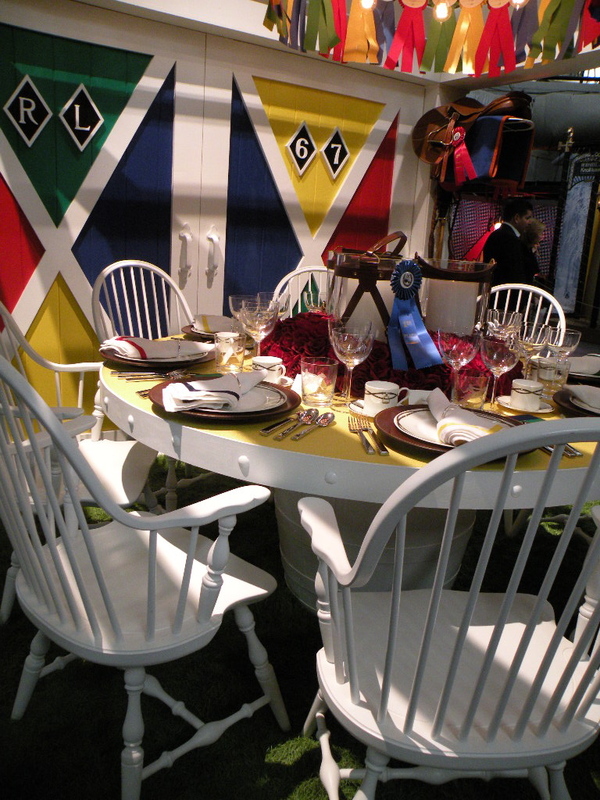 I loved how the Disney table had all different chairs…Great pics Linda! 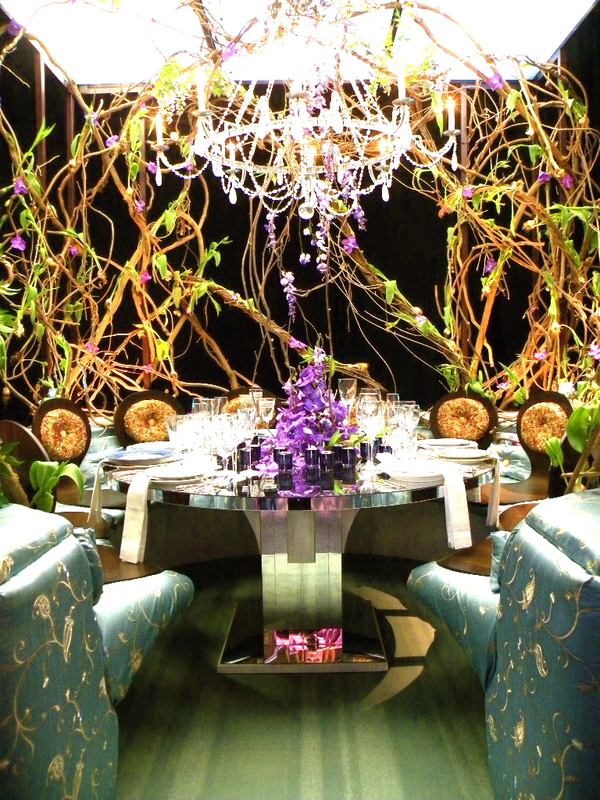 The table by Mark Blackwell is amazing. 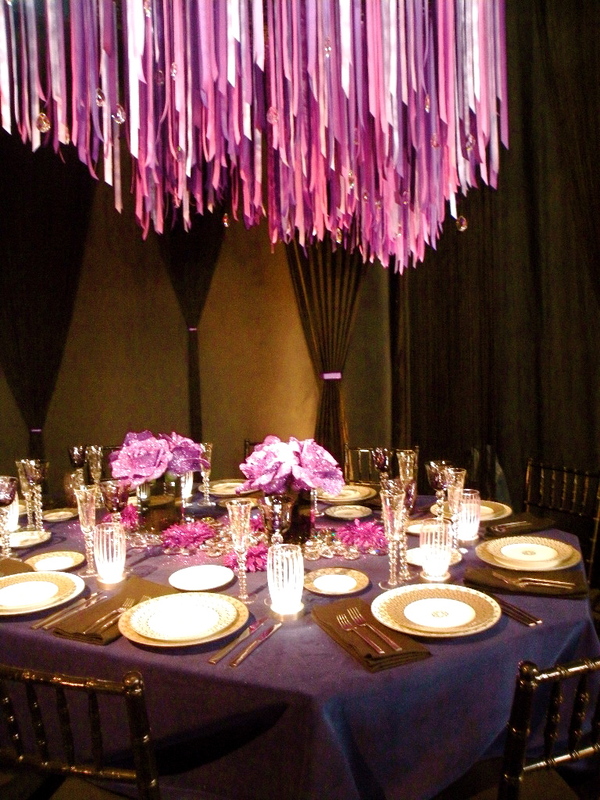 Love the fabric walls in the Moore & Giles room, the cool Kravet chairs and the purple table by Eric Warner is so pretty! 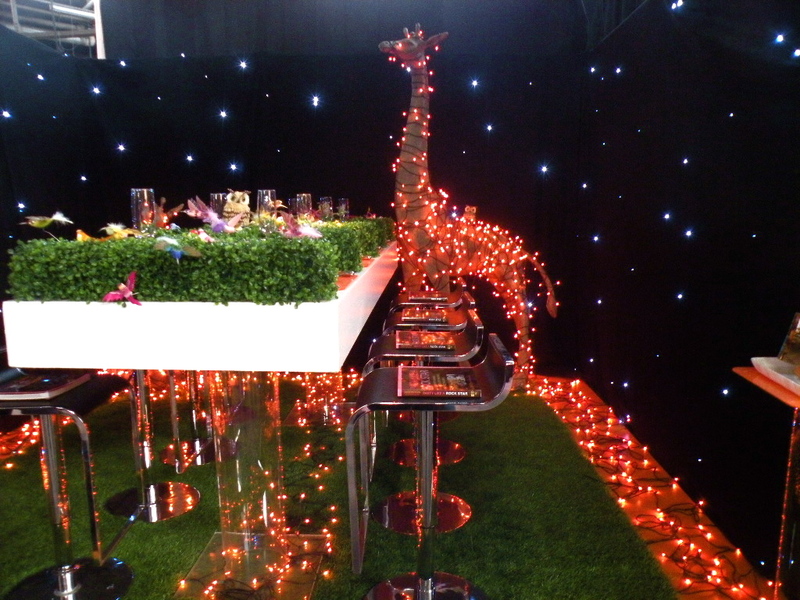 How cool are these tables. 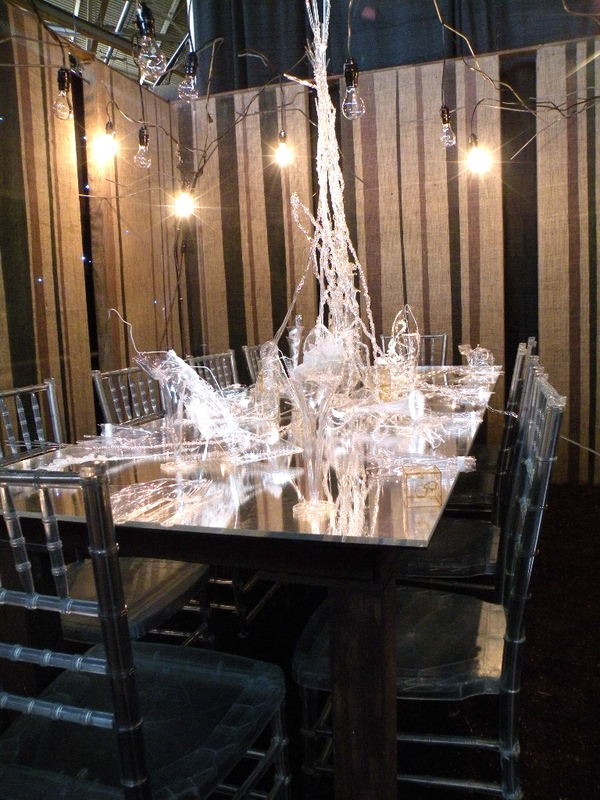 I especially love Eric Warner's table: The table and THAT light fixture!!! I had thought about coming up…now I wish I did! Every one so different! You must have loved being there! Thanks for sharing.